Well after passing the college the biggest task for Australian students is to get professionally settled and for that they seek for Job Interviews in order to get financial stable and to hold a respectful stand in the society here are some common traits which must be employed to clear the questions being framed by the interviewer. 1. Research The Company -> Once you know you have an interview lined up, spend some time researching the company and the position you applied for online. You'll often be able to learn the answers to basic questions you have, especially concerning work schedule and job responsibilities. You may also encounter information you're curious about, so you can ask the interviewer to expand or clarify. Try the company website, anything a search engine turns up about the company, and the company's social media pages. Try to understand the company's goals and mission, and how it ties in to your skills and interests. This makes you appear prepared and suitable for the company, which is a cut above someone who only repeats the website's talking points. If you know someone who works or used to work at the company, that contact can give you specific tips about your interviewers or what the company values. 2. 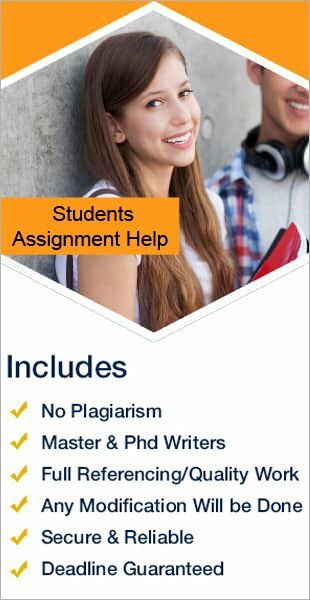 Come Up With Answers To Common Resume Questions -> Write down a list of questions you expect them to ask, and then construct a thoughtful answer to each one in Assignment Writing Help. If you get some of your guesses right, you'll appear confident and practiced, and will have less anxiety about improvising your answers. Be prepared to summarize your previous work experiences, and to explain how they contributed to skills and knowledge that applies to the job you're trying to get. Certain common resume occurrences are often brought up in interview questions. These include a long gap in your employment, a job you only had for a short time, or unusual work experience people may not be familiar with. 3. Prepare To Describe Yourself In A Way That Is Relevant To The Job -> The interviewer may ask you non-work-related questions, and you should be able to tie them into your interest in the company. Some of these may take verbal gymnastics, but if you focus on your personal character development and your passion for the work the company does, you can usually find a way to connect them with the question. Prepare a short summary of a few major accomplishments in your life or career, ending with a tie-in about how you are suited for this job. When they ask you to "tell me about yourself," they are looking for more specific information than what you included on your resume. Other common questions include what are your greatest strengths and weaknesses? Why should we hire you?, where do you see yourself in five years? And how did you hear about our company? These are all opportunities to describe you in a positive light, especially your connection and commitment to the company's mission. 4. Pack Everything You Need -> Bring along a copy of your resume, as well as a notepad and pen. If you're coming straight from another obligation, bring along a comb, makeup, or whatever else you need to improve your appearance before the interview begins. Bringing a phone to exchange contact information is a good idea, but be sure it is set to silent during the interview. Consider printing out the "about the company page" or the job postings section of their website and making notes on it concerning what information you'd like to learn more about. With help of these traits you would be able to face the interview panel without any fear and anxiety and would be to clear it up successfully.